New Facebook Page - We've just started a Rolling Homes facebook page. It will provide you with easy access to our Blogs and Book Updates. It will be less formal than this site, and Terri will be in charge of it! If you are a Facebook user just click on "Like" below and you'll automatically begin receiving the feed. 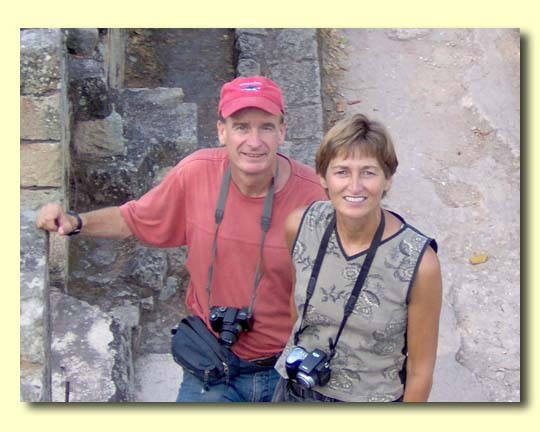 The Travelers Camping Guides were all researched and written by us - Terri and Mike Church. About nineteen years ago we decided to travel. There was no way to stretch our available funds to cover hotels and restaurants for anything like the length of time we really wanted to be on the road. On the other hand, the idea of living out of a backpack wasn't particularly attractive to us. RVs and automobile camping turned out to be the perfect compromise. During our time on the road, which has lasted a lot longer than expected, we have toured the continental U.S., Europe, Alaska, Mexico, and Central America in one type of RV or another and also by using tents out of the trunks of automobiles. During our travels we noticed that there were few if any guidebooks available that were directed at travelers like ourselves and containing the necessary day-to-day information that we needed. Our books are intended to be the guidebooks that we couldn't find when we first traveled to these places. We live full-time in an RV and spend most winters in Mexico and summers in either Alaska, Europe or the Continental US. All of our books were written and prepared for printing using laptop computers while on the road.